I missed the Center the first time I drove past it off El Cajon Boulevard in City Heights in east San Diego, California. I was busy eyeing the trendy buildings across the street that looked like those commonly found in upper-middle class neighborhoods. But this is not a middle class neighborhood; in fact it can most aptly be defined as a ghetto. It is packed with low-income ethnic minorities, all the buildings (with the exception of the few trendy buildings that I was currently looking at) are old and rundown, and homeless people can be seen on almost every other street. I found the Center my second time around the block. In stark contrast to the trendy buildings across the street it stands unassuming as an old but sturdy single story building painted white with the words “Southern Sudanese Community Center of San Diego” printed on the front in navy blue. A few weeks earlier I had read about the Southern Sudanese Community Center online and decided that I wanted to be a part of it. I grew up in a community center and truly loved the experience and positive environment that it provided for me as a child. My parents were the ones who put me in the community center and encouraged me to stay in it throughout my entire childhood. Growing up I saw my community center as a recreational center but it was not until I was older that I realized why my parents put me in it. It helped keep me off the streets and in an environment that promoted ethnic diversity and emphasized the importance of my education. This positive and nurturing environment is what I believe eventually led me to pursue a higher education at the University of California, San Diego, where I am currently a senior. Because of my positive experience I decided that I wanted to give back to a local community center and the South Sudanese Community Center seemed like the perfect place to do that. The Center is a non-profit that was founded in 1995 with the mission to resettle and assimilate all refugees from war-torn Sudan through educational, social, economic and cultural support, and to promote the idea of self-sufficiency within the community. They also provide various forms of aid to those still living in Sudan. In addition to Sudanese refugees, the Center also serves many diverse ethnic groups in the San Diego community through mentorship and after-school programs for at-risk youth. With the knowledge of its coming independence from Britain in 1956, North and South Sudan broke out into civil war the year prior. Clear divisions between the people of the North, primarily Muslims of Arab descent, and the South, mostly black Africans of Christian or traditional African religions, have historically formed the battle lines in the bitter and bloody civil wars that have raged off and on since the 1950s. Various military coups followed after Sudan’s independence from Britain until a peace agreement was signed in 1972, leading to ten years of peace in South Sudan after which various coups and tensions arose once again and a second civil war began. Sudan struggled under the weight of war with over a million people killed and 3.5 million refugees displaced. In 2002 a landmark peace deal and a renewable six-month ceasefire were signed, which led to the end of the nineteen-year civil war. However, violence erupted in Sudan’s Darfur region in 2003 leading to more ethnic persecution and genocide. Finally, in 2005 another peace agreement was signed by the PCA (Permanent Court of Arbitration); however, this time the agreement stipulated a referendum for independence after six years (2011). Voting, which was open to all originally from South Sudan, took place in 2011 effectively making South Sudan its own independent country. Although thousands of refugees are predicted to move to Southern Sudan, many Southern Sudanese people still remain in refugee camps and continue to immigrate to the United States. Earlier, in July of 2011, I met the Chairman of the Board of Directors for the South Sudanese Community Center, John Kuek, at a Human Rights event held at the University of California, San Diego. Hearing about his experiences as a Sudanese refugee is what originally inspired me to learn more about the community center that he worked for. Kuek was born into a poor family whose livelihood, like many Sudanese people, was centered around farming and livestock. However the civil tensions that took place during his childhood caused his family to flee to refugee camps in Ethiopia where he remained for five years, after which he and his family migrated to another camp in Kenya for two more years then finally immigrated to the United States. Economic status and social tension in Sudan prevented Kuek from obtaining an education; however, after coming to the United States, he was able to go back to school and complete his Master’s program in 2011 in marriage, family and child counseling. “Life and the opportunities offered in the United States are very different,” said Kuek, from the life he lived in Sudan and the refugee camps. Different is definitely the key word. Assimilating is not an easy process by any means. To come to a foreign country with no means to support yourself, not being able to speak the language and, often times, with multiple family members to support, it’s easy to see how difficult and even impossible a chance at a better life can seem. This is where the Center comes into play. It functions on two different levels. On one hand it strives to maintain the culture of the Sudanese people and on the other it works to help them assimilate as smoothly and as quickly as possible. During one of my first discussions with Chuol, he explained that “Even if the refugees have some sort of education, they have no job, no experience, and they can’t speak English.” Because of this there is no way that they can afford housing. Due to the high cost of living in San Diego, most of the refugees here end up moving to places like Nebraska, Minnesota, Tennessee, Arizona and even Alaska where housing only costs $300-$400 per month and more job opportunities are available. Not to mention that many Sudanese refugees also have the added responsibility of sending money back to relatives still living in Sudan region. “Why come to California in the first place then?” I asked. Chuol smiled and explained that many have come to San Diego because the climate is very similar to that of South Sudan. Apart from the weather there is a strong community support system here. The South Sudanese community is large in number in San Diego and they are located in different parts of San Diego County with the largest group of South Sudanese people living in the City Heights and North Park communities near the SSCC. There are approximately 3,000 to 4,000 South Sudanese people in San Diego. Nyemal Thuok Chuol, the Youth Project Coordinator at the center said that in her experience, “most refugees move to California after having lived somewhere else (usually the midwest) and finding that their children are getting into trouble,” often with gangs and racism, “so they come to California and San Diego in hopes of raising their children in a better environment. The high living cost of California later forces them to move back to the mid-west or Alaska.” Many of those who still live in California rely heavily on governmental aid, such as medicine, food stamps and Section 8 (rental assistance program) in order to survive. “I would classify most Sudanese refugees as poor in terms of their economic status,” says Nyemal. In order to counteract the tough market and the disadvantages of being a refugee, the center offers an array of helpful programs: specifically, food distributions, housing assistance, job-training and language classes. The term job-training covers a wide variety of things. For example, the Center offers sessions on how to write resumes as well as offering community members to drop off their resumes for critiques. The Center also gives job referrals to temp agencies, so that the refugees can get jobs for skills that they might already have like home care, child care, or entry level positions as security guards. Tied into job training are the educational classes that the Center offers for math and English. Each adult has the opportunity to go to tutoring sessions so that they can pick up the information quickly and correctly. Learning these basic English and math skills provides the refugees with the opportunity to interact with American society on a higher and more positive level. The Center also partners with organizations like the IRC (International Rescue Committee) which hold workshops on how to apply for and pass the citizenship test. Chuol says that difficulty in finding housing often stems from the fact that many landlords require good credit scores from prospective tenants. Newly arrived refugees do not have a credit scores at all. Because of this, the Center often steps in and speaks to the landlord, explaining the refugee’s situation and vouching for them. In this way, the refugees attain a grace period for which they pay no rent and then begin to pay it back once they have a job. The Center also directs refugees to low income housing programs like Section 8 housing assistance which pays rent on behalf of approximately 3.1 million low income households. Section 8, though it provides assistance for many people, has a waiting list in San Diego to be 8 to 9 years long and a state wide average of 5 years. This is one of the reasons the Center is so crucial to refugees—it provides them with multiple options that they often times are unaware of as new arrivals to the United States. The Center also promotes health care. It provides basic types of vegetables and fruits for those who need it. Chuol goes to the food bank twice a week, pays for bags of potatoes, carrots and other basic foods with Center funds and brings the food back to the Center for adult refugees to come and pick up. The Center has also held a few nutrition classes where they teach parents and children about how to cook nutritiously with the foods that are available to them here. In addition to its nutrition classes the Center also provides transportation for those who for example need to go to the doctor for a check-up. Transportation is also another very important issue that refugees face. The Center provides rides for the refugees when they need to go to a temp agency or other job assistance programs. The Center owns a 15-seater van which it uses to transport those who need to find work or seek medical aid. If refugees have access to a car but do not have a license, Sudanese Board Members from the Center also volunteer their time to go to the DMV. There they get permission to translate the test for those refugees who are not very fluent in English. Getting a license is very beneficial for refugees, especially if they cannot get to their jobs by walking or taking the bus. 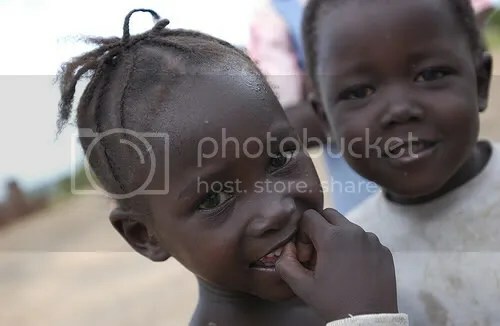 The Board Members are South Sudanese refugees who have been in the United States for a while and have faced most of the issues that new refugees have when they first come over from African countries and they genuinely wish to help them. Chuol, as the Director and CEO of the Center, is responsible for making sure that everything runs smoothly. The Center tries its best to help new refugees find their footing as quickly as possible. After that, the Center acts as an aid that points the refugees in the right direction as they continue through the process of assimilating. So far, everything that I had learned about the Center’s efforts seemed great. When I found out that there were open positions for volunteers to work with the children as after-school tutors, I jumped at the opportunity. My first day on the job as a tutor at the Center I expected to be tutoring a small room full of South Sudanese children in math, science, history and English. What I was not expecting was to be testing my Spanish speaking skills that I acquired 3 years ago from my freshman and sophomore year at the University of California, San Diego. I walked into a colorful room that housed long, rectangular foldout tables. The other two tutors scheduled for Tuesdays were already working with a couple of children spread out along the tables. I was surprised to see that the children being helped with homework were not South Sudanese but Hispanic. I learned that in addition to the large Sudanese population in the City Heights area there is also a very large Hispanic population. In fact, Hispanics make up 65% of the population, Africans/African Americans 19%, Asians 14% and White (non-Hispanics) 2%. I was told that it was a “slow day” (which means that not enough children were able to have someone drop them off at the community center after school) and that the six other children, who happened to be South Sudanese, were already done with their homework and allowed to have free time. To combat these multiple problems the center offers a variety of programs for the youth. This includes free after-school tutoring for all children in the community. The majority of the students represent homes where parents are English learners themselves. These families and children heavily rely upon the tutoring that SSCC provides for their educational needs. The Center also tries to promote learning with field trips and motivational speakers. However, the costs for funding activities and resources are difficult to meet since the Center relies solely on the support of sponsorships and donations. For example, the Center has a computer lab comprised of about 16 computers. The computer lab is open to the public from 9:30 a.m. (when the center opens) until 6:30 p.m. (when the center closes). Although the quantity of computers seems to meet the public demand, the electrical cost for running them requires that the Center cut some of its language classes until it can get more funding. The center also provides language classes in Arabic and Nuer. Nuer is taught to help the children read, write and speak in their native dialect and Arabic (along with English) which has become the national language of South Sudan. Nyemal explains that Arabic is used more so than English in Sudan, so classes help Southern Sudanese people who wish to learn or perfect their Arabic and are also important for youth who are hoping to go back to Sudan in the future. Nyemal’s family immigrated to the United States in 1994 during Sudan’s second civil war and she is now in her early 20s. When I ask her if she would want to return to Sudan in the future, her answer is incredibly enthusiastic. It is this “American culture” that has many people in the community worried. Chuol believes that the Center plays a vital role in immigrant children’s lives. In addition to helping them with their education and providing a strong cultural base, the center is also home to many donated books, games and even some sports equipment. Acting as a recreational center for youth, the local children can come there and be a part of its community which, says Chuol, helps keep them off the streets and from joining gangs. It is a “free zone” with no drugs and no alcohol and it promotes unity in an extremely diverse ethnic community. Despite the difficulties it has with funding, the Center welcomes all members of the community and a “free zone” provides a safe haven for all youth. At a recent community forum held between Africans and African Americans, a few common themes that arose from each panelist regarded housing, education, unemployment and crime. “African communities in San Diego have the same issues that African Americans have,” expressed Horn of Africa Executive Director, Mr. Abdi Mohamoud, president and CEO of SFS (Somali Family Service). Mr. Ahmed Sahid added, “For many it is difficult to navigate through the process when coming here from Africa. It is a discussion of civil rights and civil liberties and we do share a common problem and common interest with African Americans.” Over the course of the night one audience member commented, “Gang and prostitution leads to death. Africans suffer from racial profiling just as African Americans do. We are Africans with African American sentiments.” The problems associated with living in poor, gang ridden neighborhoods have taken their toll on both the African and African American population. The racism as well as the social, political and economic disadvantages that African Americans have been trying to overcome for years are being repeated with the African community. Knowing this made me wonder about the community center. It works to retain the culture of the South Sudanese people as well as to prepare them to assimilate successfully, but what exactly are they assimilating into? Is the center really just setting them up to enter into a system which forces them to fail? When I asked Chuol about this he explained that the main focus of the Center is to maintain the Sudanese culture “which is good because then you’ll know your identity no matter what.” He went on to elaborate that there is a cultural gap and having the center is helpful to new refugees because they go into the country knowing people who know and are a part of the American culture. Chuol also explained that new immigrants experience “negative and positive effect of the (American) culture at the same time, so what we do here is focus on the unity of Sundanese themselves.” This is done through community events, cultural events, language classes, community meetings, and hosting all types of celebrations from baptisms to high school graduations. It is this unity that helps refugees survive the assimilation process. When I asked Nyemal, she responded “I think the Center is very helpful in preparing people for the system they are trying to assimilate into, but maybe not as much for the adults as for their kids and the youth that are growing up. I think that the kids are mostly being helped to assimilate more than the parents are. I mean the parents are taking ESL classes and doing homework and things like that but I don’t think that it’s really helping them get into the places that they want to be. For example, I know that some of them want to teach but they can’t because their English skills are not so great.” Nyemal went on to explain that the adults who move here in their late 30s and 40s can never really speak English at the same level as someone who has grown up here. Often the adults are too busy trying to support their family to get a proper education. Even if they manage to become fluent, they still have a thick accent which they believe prevents most people from giving them jobs and as a result are restricted to low paying jobs. Because they’re younger, the kids have a better chance of learning how the system works, getting into it early enough, forming stronger ties with the other disadvantaged ethnic minorities and truly being a part of the American and Sudanese culture rather than just their Sudanese culture alone.